It’s the big question many vacationers face: the privacy of a villa or the comforts of a resort? But did you know there’s a way to enjoy the best of both worlds? There are exclusive communities in Mexico, in which residents and their guests enjoy the privacy of their own villa but with access to luxury amenities such as beach clubs, spas, and gourmet restaurants. Our unrivaled Mexico access gives us a privileged insight into these ultra-exclusive resorts. So let’s take a look inside and get some ideas for your next vacation. 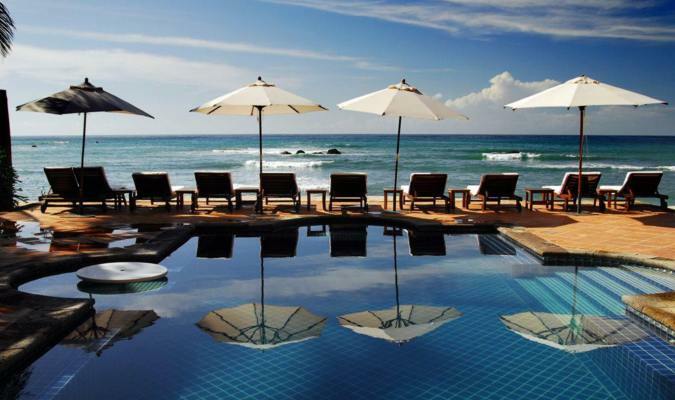 Location: The gorgeous Punta Mita sits on the northern tip of the expansive Bahia de Banderas. Jutting into the Pacific, its enviable spot offers excellent opportunities for water-based activities: snorkeling, scuba diving, whale spotting, and sport fishing. Nearby is the Marietas Islands, home to the stunning Hidden Beach. About: Punta Mita residents automatically join the exclusive Club Punta Mita. While membership levels vary, residents and their guests can access a number of gorgeous beach clubs. There’s also admission to two world-class Jack Nicklaus Signature golf courses: Pacifico (formerly named the world’s best course) and the newer Bahia. When members want to work up a sweat, the Punta Mita Tennis Club is a five-star facility while the Premier Fitness Center comes with hi-tech gym equipment. But, the Punta Mita community is much more than cutting-edge tech and world-class facilities. It’s also a place to mingle with the world’s elite. A buzzing social calendar, which includes gourmet food nights and sporting events, keeps the residents in touch. Where to stay: Join the Punta Mita community with a stay at Villa Tres Amores. This artfully-designed, four-bed luxury villa includes breath-taking ocean views. Highly-trained staff will take care of your every need while you relax on the sun loungers or see out the day in the hot tub. Location: Sitting on the southern tip of the Baja peninsula, the Del Mar Palmilla community enjoys magnificent ocean views, mountain vistas and a short walk to an idyllic beach on the Sea of Cortez. About: After more than 25 years of careful planning and development, Del Mar Palmilla has positioned itself as one of the finest communities in the Los Cabos area. Members enjoy access to two outstanding clubs. The first is Club 96, an idyllic beach hangout with two ocean-side pools, a grill, and a sports lounge. The second is Club Espiritu, one of the premier health centers in the area. Members can use the latest fitness equipment with instruction from Cabo’s best trainers. For club-life of a different kind, Del Mar residents can either play a Jack Nicklaus Signature golf course or a Tom Fazio Championship course. Espiritu Park offers more sporting opportunities including basketball, soccer, and football. Where to stay: Join the privileged Del Mar community with a stay at the luxurious Villa 321. This beach-front vacation home includes infinity pools, sun terraces and hi-tech gadgetry such as an indoor/outdoor sound system and home theater. Location: The ultra-private community of Punta Ballena enjoys a healthy outdoors lifestyle. Situated on the Sea of Cortez, residents can relax on golden sands or stroll along more than two miles of walking paths. 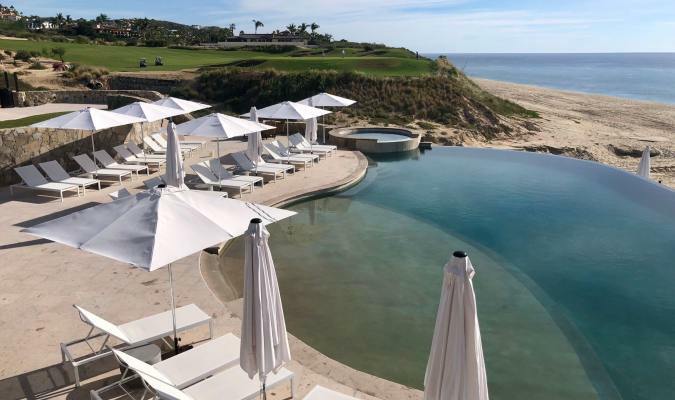 About: As one of the most exclusive communities in Los Cabos, you would expect the residents of Punta Ballena to enjoy a world-class beach club. Well, they do. In fact, they enjoy two. The first is Punta Ballena Beach Club, which has an ocean-front pool, tennis courts, gourmet restaurant, and fitness suite. The second, Las Estrellas Club, comes with more tennis courts, a lounge area with a large flat-screen TV, a children’s playroom, pool, air hockey, and foosball tables plus a restaurant, pool service, and gym. Where to stay: To join the Punta Ballena community opt for a stay at one of two gorgeous villa rentals. The first is Casa Contenta, a five-bed vacation home designed with a unique blend of colonial Spanish architecture and Southern Californian influences. The perfect spot for a family vacation, Casa Contenta includes a heated pool, Jacuzzi, and a media room. 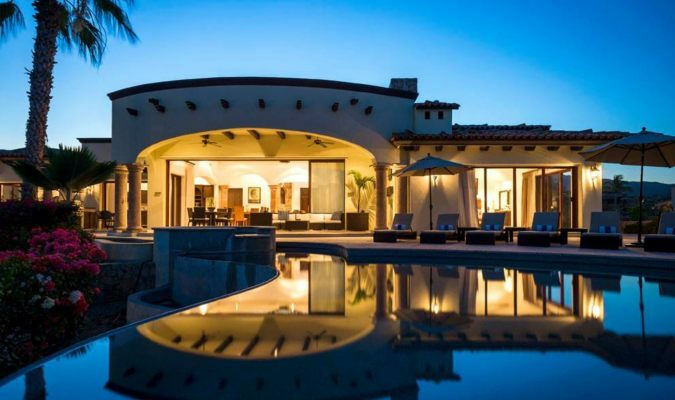 The second is Casa Tropico, a 4,990 sq ft, five-bedroom villa with gorgeous views over the Sea of Cortez. The property includes a gourmet kitchen, outdoor Jacuzzi and large pool plus a fire pit and barbecue area. Location: One of the best luxury communities in Mexico, Fundadores offers ocean-front views in a secluded setting. A golden beach sits at the foot of the community while azure seas are the perfect place to swim. When the season comes, the waters are home to ocean giants — huge humpback whales who love to leap from the ocean. About: The Fundadores community of Puerto Los Cabos enjoys the many benefits of The Club, an exclusive beach-front resort with luxury amenities. Members can take advantage of its idyllic location by ocean kayaking, stand-up paddleboarding or whale watching. When it’s time to refill, the incredible open-air Palapa restaurant offers an extensive international menu. Members can build their strength in the hi-tech fitness center or in the outdoor exercise pavilion. A packed social calendar makes mingling and mixing a joy. When throwing a dinner party, members can enlist the help of Fundadores’ professional catering team to create a meal to remember. Where to stay: Enjoy the benefits of the Fundadores community with a stay at either Villa Estero, Villa Piedra Blanca or Casa Oliver. Each of these large, luxury vacation villas offers the very finest facilities as a standard. Beach-front access, heated pools, fire pits, and private staff will make your vacation one-to-remember. Location: Playa Rosa defines natural beauty and elegant design. From jungle-covered hillsides to glittering views of the Pacific, it encapsulates the spiritual beauty synonymous with Careyes. About: One of five communities that form Careyes, Playa Rosa is part of one of the world’s great artistic societies. Residents regularly get together for an unrivaled social calendar which focuses on the arts in all its forms. The annual Film & Arts Festival is a particular highlight. If residents can find some spare time, they can eat at one of four gourmet restaurants. Activities include paddle boarding, ocean kayaking, snorkeling, and scuba diving. Or for those who prefer to stay dry, horseriding, polo, tennis, hiking, and biking are all available. 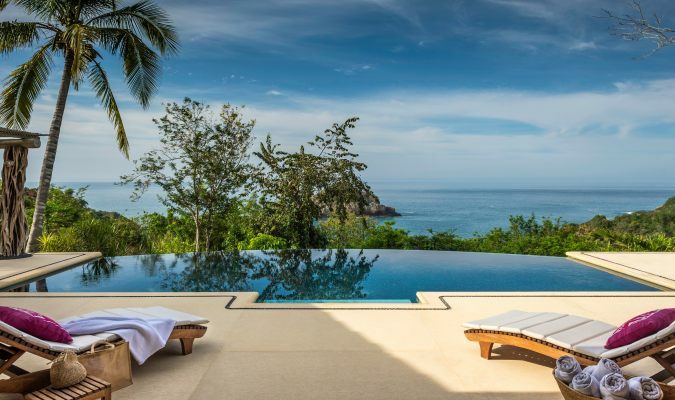 Where to stay: Join the boho-chic community of Careyes Playa Rosa with a stay at the four-bedroom Constellation Aries. This magnificent villa boasts an infinity pool with gorgeous ocean views. You will also find outdoor loungers and a full-staff team including chef, butler, and maid.